This entry was posted on March 13, 2017 by Nick. It can be difficult to find the perfect gift to show mum or grandma how much she is appreciated. 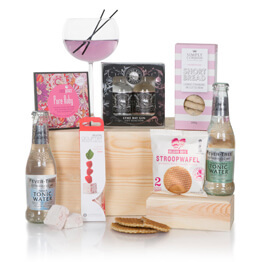 However, Hamper.com has a fantastic collection of Mother’s Day gift hampers that are packed with delicious treats and unique gifts, perfect for spoiling her this Mother’s Day. 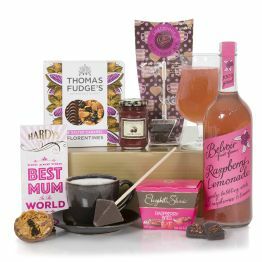 Hamper.com has compiled a list of the top 10 Mother’s Day hampers and gifts that we have available for 2017. Delicious giant scones, clotted cream and a range of preserves are just some of the treats available in the Luxury Cream Tea Gift Hamper. 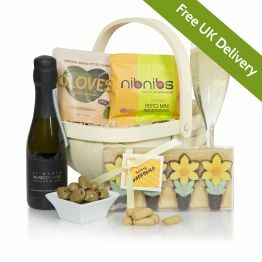 This hamper is a fantastic gift for Mother’s Day and is available with free UK delivery. The Best Mum Luxury Hamper features everything she needs to relax and enjoy the day. 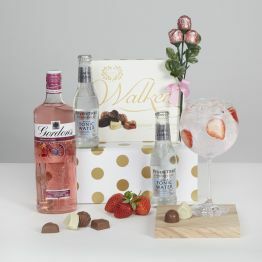 From a beautiful strawberry candle to cookies and chocolates, she’ll love this wonderful luxury hamper this Mother’s Day. Containing a bottle of indulgent Italian Prosecco, chocolate truffles and a beautiful floral scarf, the Happy Mother’s Day gift hamper is perfect for celebrating her special day. Presented in an elegant gift box, mum will love this gift hamper on Mother’s Day! 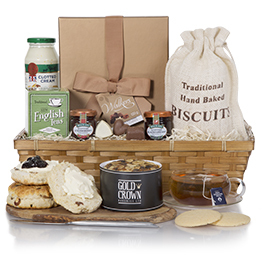 Popcorn, shortbread, chocolates and toffees are all included in this wonderful hamper! The Only The Best For Her is the perfect gift for a mum or grandma that has a sweet tooth! If your mum loves to garden, then she will love the Gardening Goodies for Her hamper this Mother’s Day! 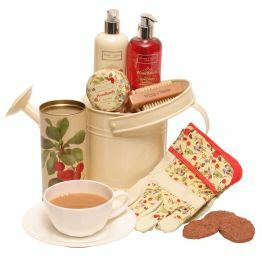 This wonderful hamper features a watering can, gardening gloves, hand wash and more. 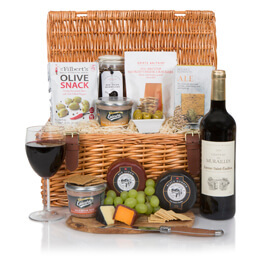 Spoil her this Mother’s Day with the Gourmet Choice gift hamper from Hamper.com. Bursting with delicious treats, including Prosecco, truffles, Black Bomber cheese and more, she will love this luxury food hamper! The Mum’s Spring Basket gift hamper is perfect this time of year and is one of our most popular Mother’s Day hampers. Featuring Prosecco and chocolate daffodils this hamper is sure to make your mum happy this Mother’s Day. The Mother’s Day Champagne Hamper has everything your mum needs to enjoy Mother’s Day. Chocolates, toffees and eclairs all accompany an indulgent bottle of Autreau Roualet Brut NV Champagne! Hamper.com supply beautiful bouquets of flowers as well as luxury food and gift hampers. 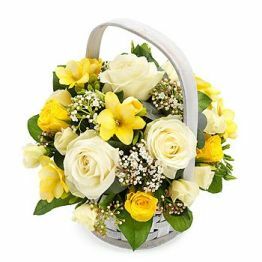 The Sunshine bouquet features bold yellow gerberas, white roses and scented lilies. Flowers are perfect for all occasions, including Mother’s Day! The talented florists at Hamper.com create floral gifts that are breath-taking and shipped fresh and ready to bloom so they can be enjoyed for as long as possible. 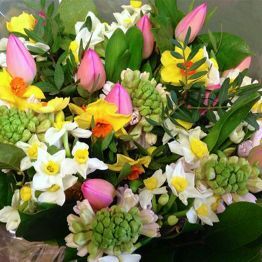 The Spring Blossom bouquet features tulips, hyacinths and narcissus, creating a beautiful and striking display. For more information on the collection of Mother’s Day hampers that we have available, then please get in touch. Contact us online or call us on 01235 833732 and we will be happy to answer any questions you may have regarding any of our next day hampers.